We all know getting tickets to an actual game of football these days can be an increasingly expensive experience, with the Premier League’s worldwide appeal meaning local fans are priced out of attending matches more and more, while young people can’t hope to easily afford regular attendance at games. With online streaming and social media also now such a big part of the matchday experience, fans are increasingly staying at home and questioning if it’s worth it, but you still can’t beat the atmosphere of a rocking stadium when it really gets going. Everyone mocks Arsenal for this, and there’s clearly a lot of truth in it – their highest matchday ticket costs a whopping £95! That’s over a quid a minute for sitting and watching the Gunners bottle it every season! Next on the list is Chelsea, who do at least provide some title-winning teams to their crowds from time to time, even if those wins are sandwiched between the odd bizarre season where they completely fall apart. 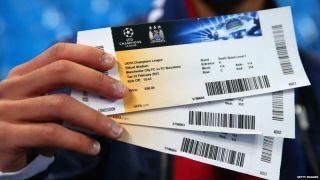 Their most expensive ticket costs £87 – marginally less than a seat across London at the Emirates Stadium. In their new stadium, it’s little surprise to see West Ham need to charge so much to fill all those seats. Going to watch the Hammers could cost you as much as £80 – and they’ve lost each of their three league games so far this season! A real surprise here as Brighton make the top five. Only promoted to the Premier League last season, Chris Hughton’s side surprised many by staying up, but some of their fans had to pay as much as £60 to see those games (in fairness, that’s included two wins over Manchester United). Elsewhere on the list, Manchester United’s most expensive ticket is just £53, while Burnley were the best value for money in the top half of the table last season with just £40 their highest price. Huddersfield Town are the cheapest at just £30.